Our address is only an office, no showroom or offline store. You can reach us by phone on Mondays, Tuesdays and Thursdays from 9 am to 5 pm, and on Wednesday and Friday from noon to 5 pm. If you get our answering machine because we are busy with someone else, please leave your phone number and we will call you back as soon as possible. In week 17 & 18 you can reach us on Monday to Friday from 12 a.m. to 5 p.m. We are unavailable on Monday 22 April (Easter Monday). Below you will find the most frequently asked questions. Is your question not listed or would you like more information? Fill in the form on the right and you will hear from us as soon as possible. Place the desired products in your shopping cart. When you have added everything, you can view your order in your shopping cart and adjust it if necessary. You can also apply a discount code here and see the shipping costs of your order. After completing your order, enter your details and select a shipping method and payment method. If everything is correct you can continue to make the payment and after it has been completed you will receive a confirmation of your order via email. 1.2 I have not received a confirmation email, what now? After your order is completed you will receive a confirmation email. This mail can also end up in your unwanted mail or spam. Are you sure you didn't receive any mail? Then it is possible that you have entered a wrong e-mail address or that your order has not been successfully completed. Please contact us and we will see where things went wrong. 1.3 Do I have to create an account to place an order? This is not necessary, you can also place an order as a guest. Creating an account is useful if you are going to place more orders with us because you do not have to enter your details again and again. 1.4 Can I change or cancel an order? Once the order has been completed, you cannot change anything yourself. If you still want to change something, or want to cancel the order, please contact us as soon as possible. 1.5 How do I know if a product is in stock? For each product it is clearly indicated on the website whether it is in stock or not. 1.6 Can I order a product that is no longer on your website? If a product is no longer on our website, this means that we do not have it in stock. If you have a specific product in mind that is not on our website (anymore), please contact us and we can tell you whether this product will be back in our range and if so, when. 2.1 Which payment options do you offer? 2.2 My payment has failed, how can I pay for my order now? If you have an account with us, you can pay the order again in My Orders. If you do not want to create an account, you can also transfer the payment via bank transfer, or place a new order yourself. 2.3 How does Payment after delivery via Billink work? When you choose the payment option Payment after delivery, Billink performs a credit check. If that is accepted, your order will be completed and you will receive an invoice from Billink by email. This must be paid within 14 days. 2.4 How does payment by bank transfer work? With a bank transfer you transfer the amount of your order to our bank account. As soon as we have received the payment, the order will be sent. 3.1 Do the prices include VAT? All prices on this website include VAT and exclude any shipping costs. The shipping costs are clearly shown in the order overview before completing an order. 3.2 Can the VAT be transferred? We are always obliged to charge VAT to individuals and companies within the Netherlands. Do you have a company outside the Netherlands? Then please enter your VAT number during the ordering process and the VAT will automatically be deducted from your order. After payment you will receive a digital invoice that clearly states this. 3.3 The website indicates that my VAT number is invalid, what should I do? What many people forget is to put the country code before the VAT number. For the Netherlands for example this is NL, for Belgium BE, and for Germany DE. If you do this, there should be no further problems. 4.1 Which countries do you deliver to? We deliver to most countries within the European Union. In your Shopping cart you can select the desired country, and you also immediately see what the shipping costs are. 4.2 What are the delivery costs of my order? All orders over 30 euros are shipped for free within the Netherlands, Germany and Belgium. In your Shopping cart you can immediately calculate the shipping costs by entering your country and zip code. 4.3 What happens if I am not at home during the delivery? If you are not at home, the delivery person will first try to deliver the package to the neighbors. If this fails, the delivery person will leave a message. The next working day the deliverer will come again with the package. You can also choose a time or place yourself after the first time. This is possible with the code on the message that the package deliverer leaves you. If you are not home the second time, the package will be brought to a servicepoint. You then have 2 weeks to collect the package. 4.4 I have not received my order (yet), what now? You should have received a Track & Trace code via e-mail with which you can track the shipment of your order. Have you still not received anything after 2 days and does the Track & Trace not provide clarity? Then contact us and we will try to find out what is going on. 4.5 I have received a damaged product, what now? If a product unexpectedly gets damaged during delivery and your order is not delivered as desired, please contact us and we will resolve this as soon as possible for you. 4.6 When will my order be shipped? Orders that are ordered and paid for on a working day before 10 p.m. are shipped the same day. Orders that are ordered and paid after 10 p.m., at the weekend or on a public holiday, will be sent the next working day. PostNL usually delivers 98% of the packages to the Netherlands and Belgium the next working day, but take into account possible delays around national holidays. DPD shipping to Germany usually takes 1 to 2 days. 4.7 Who delivers my order? We work with PostNL as a shipping service, except in Germany. Orders to Germany are sent with DPD. 4.8 Can I have my order delivered to a different address? When you have placed the items you want to order in your shopping cart, and then click on Proceed to checkout, you can indicate whether you want to deliver the order to the billing address or to another address (for example a work address). 5.1 I want to return my order, how do I do this? If a product that you have ordered does not meet expectations, you can simply return it. Please let us know within 14 calendar days that you want to cancel the purchase (calculated from the day after receiving your order). Download the return form on this page and send it with the product you want to return. Please return the item unused and undamaged and, if reasonably possible, with the original packaging. As soon as we have received the product back, the amount will be credited in the same way that you paid for the order. 5.2 I want to exchange a product for another product, is this possible? Please return the items that you do not want to keep to us, together with the return form, and place a new order on this website with the product for which you want to exchange. That way you also know immediately if the product you want is in stock. As soon as the payment for your new order has arrived, it will automatically go to the warehouse and it will be sent the same working day. As soon as your return shipment has arrived at us, the amount of the returned items will be refunded to you via the same payment method that you used to pay us. 5.3 Do I have to pay shipping costs if I want to return / exchange something? Yes, the costs for returning a product or order are for your own account. 5.4 I have sent something back but have not received any credit. It can sometimes take a while before your return is processed. Have you still not heard from us within 3 days but has your shipment been delivered to us according to the Track & Trace? Then contact us and we will sort it out. 6.1 I forgot my password, what now? If you want to log in but don't remember the password, click Forgot your password? under the login screen. Enter the e-mail address associated with the account and within a few minutes you will receive an e-mail from us with a link where you can change the password. 7.1 When will I receive a discount on my order? You get a discount on your order by using a discount code, or when your order qualifies for volume discount. Discount codes are distributed via our newsletter or via our Social Media channels. 7.2 How do I add a discount code? You can add a discount code in your shopping cart. When you have added all the products you want to order, add the discount code and click Apply. This way you can immediately see the total amount of your order. 7.3 I have a discount code but it doesn't work, what now? It is possible that the discount code has expired. When we distribute a discount code via our newsletter or Social Media, it is clearly stated when the code is valid. It can also happen that the discount code is fake. If you have received a discount code from another website and you have doubts about its authenticity, please contact us and we can tell you whether this is a real discount code or not. 7.4 Can I combine multiple discount codes? No, it is not possible to combine multiple discount codes. 7.5 What is volume discount? Volume discount is a discount that you get when you order more pieces of a certain product. The volume discount applies to all Love Generation products and with a purchase of at least 6 items. The discount is clearly indicated for each product nextto the product photo, and is applied automatically. The volume discount does not apply to products that are on sale, and in combination with another discount promotion. 7.6 Can I combine several Love Generation products for the volume discount? No, the volume discount only applies to 1 type of product. You can, however, combine multiple colors of the same product. The volume discount is then not automatically applied, so if, for example, you want to combine different colors of extra thick yoga mats, please contact us and we will make this alright for you. 7.7 What is wholesale discount and how do I qualify for this? 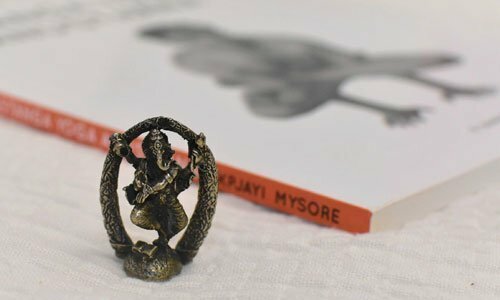 We offer a complete package that makes it very easy to start a shop at your yoga studio, or expand an existing shop with a thorough collection of yoga and meditation articles. We can offer discounts to resellers and large orders up to 40%! If you want more information about this wholesale discount please send us an e-mail. 8.1 Do you sell gift vouchers? Yes, you can find the gift vouchers here. You can send the gift vouchers to yourself so that you can give it to someone yourself, but you can also send it directly to the person for whom the voucher is intended. Clearly indicate in the comments whether we should add a personal message to this. 8.2 Can I determine the value of a gift voucher myself? This is not possible. 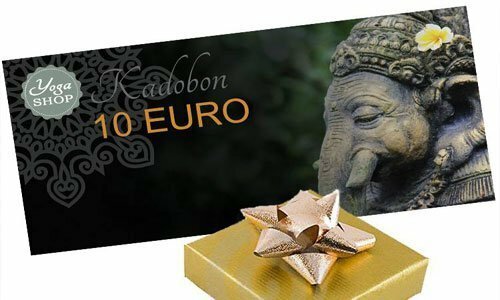 The gift vouchers have a fixed value of 10 euros, 20 euros or 50 euros. 8.3 How long is a gift voucher valid? The gift voucher is valid for a whole year. On the back of the gift voucher it is until which month the gift voucher is valid. 8.4 Where can the gift voucher be spend? The gift voucher can only be spent on our website. 8.5 Can I spend several gift vouchers at the same time? This is possible, but for this you have to send us an email with the discount codes of both (or more) gift vouchers. We then create a joint discount code that can be used in one go. 8.6 I have lost my gift voucher, what now? If you can no longer find your voucher, please contact us. Also state your order number or, if you did not purchase the gift voucher yourself, the name of the person from whom you received the voucher. 9.1 I have a new yoga mat but this one has a strange odor, how do I get rid of this? 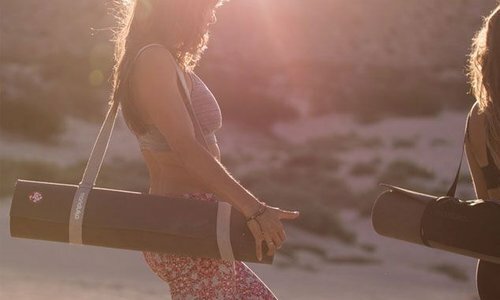 A new yoga mat, regardless of the material, can sometimes smell strange in the beginning. Some people find this a nasty smell and some people can live with it. The odor will get less the more you use the mat. To speed up this process, you can leave the mat hanging outside for a few days before use. 9.2 What is the best way to clean my yoga mat? The best way to clean your yoga mat depends on the material of your yoga mat. The label of your yoga mat also shows how you can clean it best. If you have thrown this label away, you will find an explanation on how to clean it on our website. 9.3 My mat is a bit slippery, what can I do about this? A yoga mat made from PVC can sometimes be a little slippery when it is new. This has various causes, but the most important is the way these yoga mats are made. 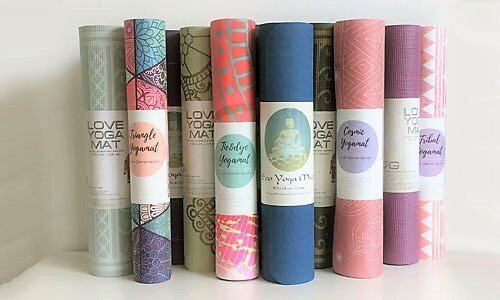 Every yoga mat is given a small layer of fat in the factory to prevent it from sticking to the machines during the production process. This makes your new yoga mat feel smooth and greasy when you remove it from the package. Fortunately, it is very easy to do something about this, and you can read about this here on our blog. 9.4 What is the difference between a PVC mat and a TPE mat? PVC yoga mats are one of the most commonly used yoga mats because they have a rough and sticky surface that will prevent you from slipping. The mats are usually 4 mm or 6 mm thick, which provides sufficient insulation, and at the same time good stability for balancing exercises, for example. A PVC yoga mat is great for all yoga forms. 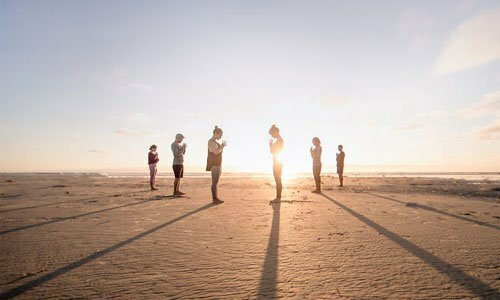 Only if you practice very warm or intensive yoga styles, such as ash tanga or bikram, can they become somewhat slippery due to too much perspiration. PVC has a dense cell structure and does not absorb moisture. TPE is an abbreviation for Thermo Plastic Elastomer, also called Thermo Plastic Rubber because this material is basically a synthetic rubber. TPE yoga mats are biodegradable, are made without toxic substances and can therefore bear the Eko quality mark. TPE yoga mats are remarkably soft and elastic compared to a PVC yoga mat. The surface is super sturdy, and because the material has an open cell structure, you will also slide less quickly during a sweaty yoga class. The mat has a more neutral odor than a rubber yoga mat, and is ideal for people with a latex allergy. 9.5 Which mat fits the yoga style that I practice? 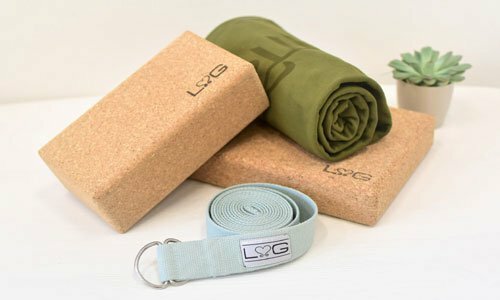 For this question we would like to forward you to our blog, here you will find an article with an extensive explanation about which mat fits best with which yoga style. 9.6 Do you also sell loose covers for the meditation cushions / meditation mats? No, we do not sell loose covers or loose filling for the meditation cushions and meditation mats. 9.7 My meditation cushion is starting to collapse, what can I do about this? Organic buckwheat hulls are in our meditation cushions. These buckwheat hulls are very firm and hard, and have a half-round shape. This makes them the ideal filling for meditation cushions; on the one hand there is enough air remaining between the shells that the cushion remains relatively light in weight and also retains exactly enough resilience, on the other hand the shells interlock in such a way that they provide optimum strength without becoming very flat. In the course of time it can happen that the caps become flatter and your meditation cushion will collapse somewhat. You can then fill the pillow with uncooked rice. 9.8 My meditation cushion is too hard what can I do about this? 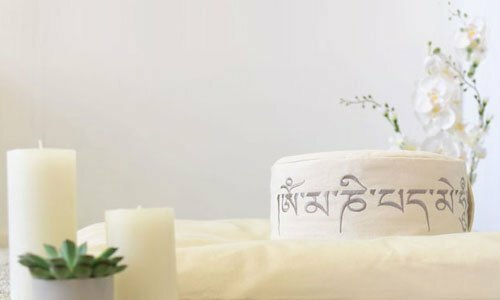 If you find the meditation cushion a bit too hard or too high, you can easily remove some of the filling yourself so that it has the desired height / softness. 10.1 Can you pack my order as a gift? No, we do not pack items as a gift. 10.2 Do you also print yoga mats? Printing mats is not something we normally do, but we can facilitate this with a minimum of 500 mats. Of course you can also come to us for only the mats that are suitable for printing. If you want more information about this, please contact us. 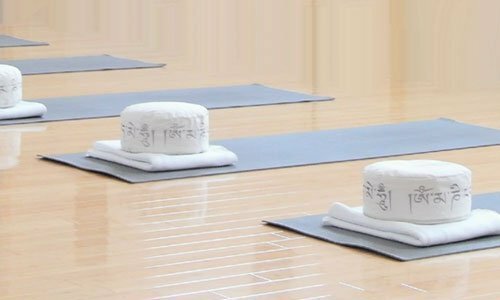 10.3 Is it also possible to rent yoga mats or meditation pillows from you? No, we do not rent our products.